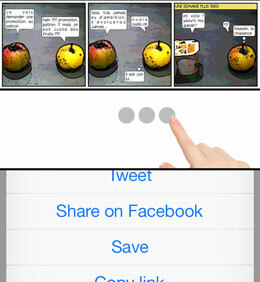 Scenies is a fun iOS app that allows you to make short little cute comic strips without having to draw. What's around you can now become characters, mountains, talking monkeys. You don't have to be with anybody, just use the environment ! 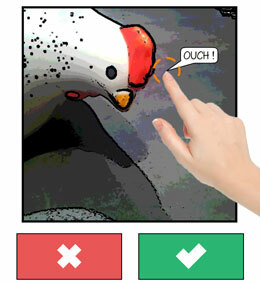 Scenies is built to be fast and clean : it takes only few seconds to make a cool comic strip. Even a baby could do it (yes, a baby that can write). 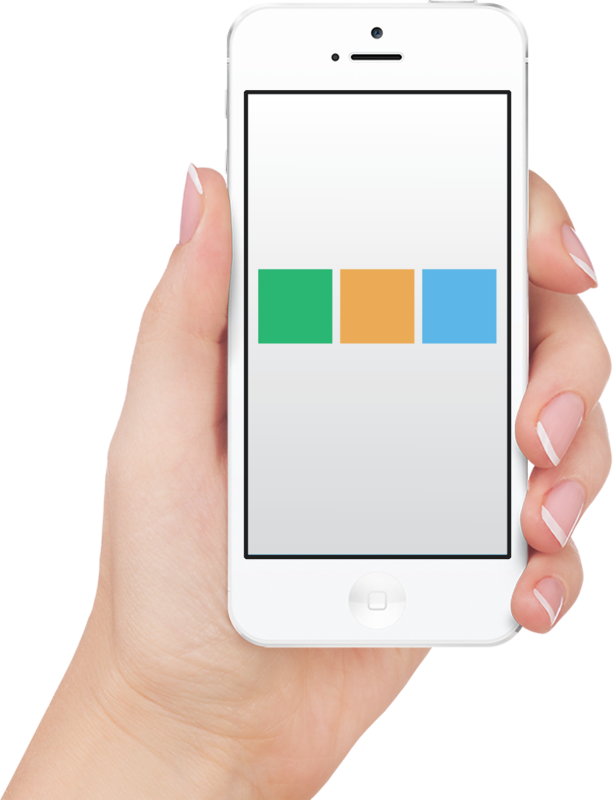 Sharing to Facebook and Twitter is as easier as it can be. You can also save the scenies in your camera roll or just copy the link of the scenie. “Finally ! 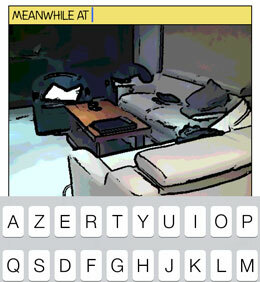 Making decent comic strips on the iPhone is possible !"